this cheese sauce is great. 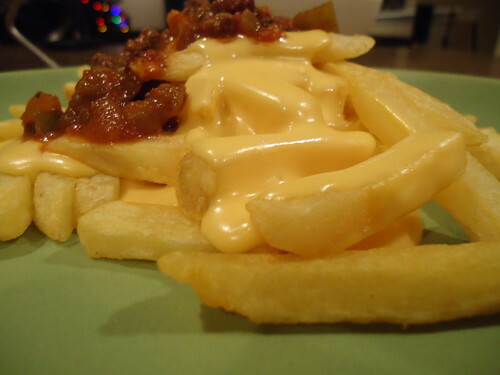 it is great with chili cheese fries, can be used for dunking pretzel bites, smothered on top of nachos… i’ll bet that it would be great mixed up with some pasta. the evaporated milk gives it a very smooth texture and the cheese can easily be changed, based on what you’re serving. try pepper jack with your pretzel bites or nachos. white cheddar for pasta. the possibilities are endless! 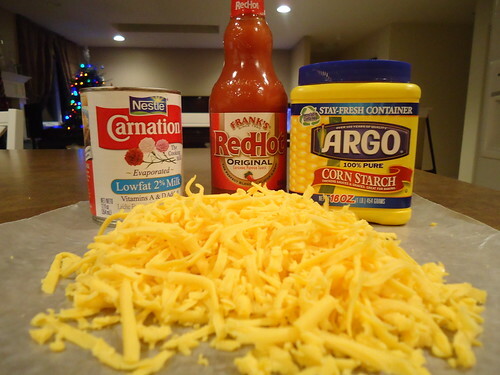 in a small bowl, toss cheese and cornstarch, until the cheese is evenly coated. put in a medium sauce pan. add 2/3 of the can of milk and hot sauce. add the cayenne pepper, if you’d like. cook over low heat, whisking until melting, bubbly and thick. thin to desired consistency by adding additional milk.